House Committees are starting to move lots of legislation now that the spring Session has reached its near mid-way point. This week I was able to present a couple of bills in front of House Committees, but none of my bills have yet made it to the House Floor. HB 2481 sets forth specific guidelines for the re-legalization of fireworks in Illinois. The bill is focused mainly on safety, but would allow consumers to once again use certain banned fireworks. The legislation has been moved to the House Revenue Committee’s Subcommittee on Sales, Amusements, and Other Taxes and awaits further hearing on March 14. As a former school board member, I recognize that school districts are being asked to do more and more with less and less funding every year. One way that I feel we could lessen the burden of cost for schools is to no longer require that each of Illinois 800 plus school districts buy a newspaper ad that lists their financial state of affairs. With the advent of the internet, the ability of school districts to make this information public at little to no cost is definitely within the realm of possibility. I will continue to make my case for this cost-saving measure as Session continues. I also signed on to sponsor one bill, and one very important resolution in the last 10 days. I have now signed on as a co-sponsor to HB 3373, the so-called Blue Collar Jobs Act. I was a Chief Sponsor of the “Blue Collar Jobs” Act (HB 5864) in the House during the last legislative Session. The Blue Collar Jobs Act is supported by both labor and business groups and offers tax incentives to companies making large investments in Illinois based on hiring construction workers. The labor-management group representing the International Union of Operating Engineers has endorsed the plan. HR 153 – Last week, I signed on to sponsor HR 153. This measure states direct and total opposition to the Governor’s plan to raise taxes on the middle class by instituting a “Progressive” or “Graduated” income tax. Governor Pritzker held a press conference his week to talk about what he would like to see in a “fair tax” situation. Some folks refer to it as the “fair” tax…but, the last time a State Representative introduced legislation to provide for a graduated income tax, the tax increases began for individuals making as low as $17,000 per year. There is NOTHING “fair” about a proposal to hike taxes on everyone from the lowest earners to the highest! I will continue to oppose any efforts to raise taxes – we need more taxpayers, not more tax hikes! 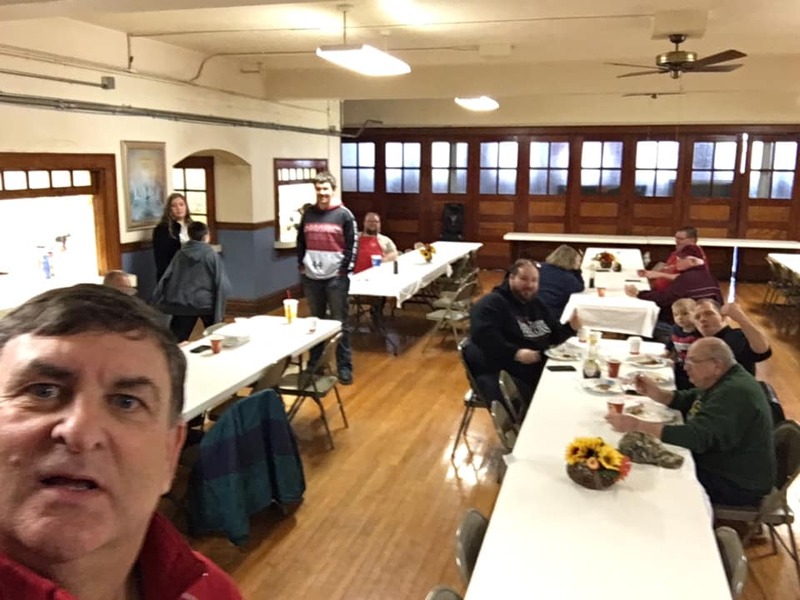 I was privileged to stop by the First Baptist Church in Benton last Saturday for some awesome pancakes. The sausage was pretty good too ! The breakfast’s proceeds will go to support the Benton Boy Scout Troop. I am privileged to get to eat pancakes on a regular basis, and these were exceptional! I started the day off on Saturday in Ina at the 6th Annual Blessing of the Farmer. 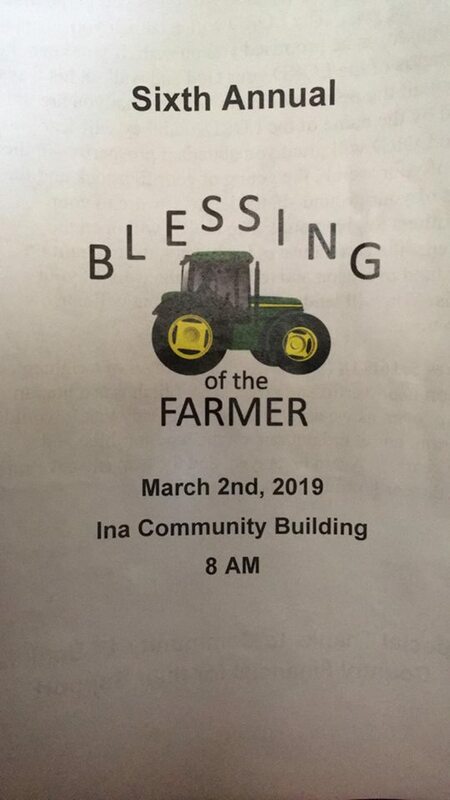 I am very proud to support and stand with our farm families in prayer. The polar plunge is Law Enforcement Torch Run’s fundraiser to assist Special Olympics of Southern Illinois. Nearly 300 Southern Illinoisans braved the bitter cold air (and water) to take the plunge to aid the Torch Run. The Torch Run is an event that takes place at several Illinois lakes, with the eventual torch reaching the cauldron at the Special Olympics opening ceremony. The Saturday event was a total success, raising $33,000! Thank you to our law enforcement community for their volunteer spirit. Read more about this story by clicking here!